Cross every item off your to-do list when you shop with us at Lone Star Lumber. Since 1955, our hardware store in Ingleside, TX, has provided top service and a wide variety of products at a competitive price. We are an authorized Benjamin Moore Paint Dealer, and we offer U-Haul rentals and other services for each of our customers throughout the North Bay area. Visit us to shop for general hardware for every project. 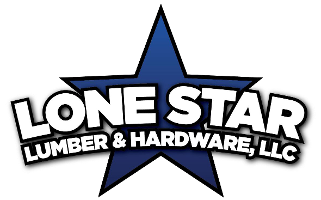 First opened by Hubert and Fay Lewis in 1955, Lone Star Lumber is your local source for general hardware and small-town service. When you walk in the door, our experts are happy to help you find what you need. For your convenience, delivery is available with your purchase. In 1980 Marj (Lewis) Schwebel and Richard Schwebel purchase the store from her parents. At Lone Star Lumber, we know that service is not a slogan—it's a reality. We understand that you may not have many options in the area for hardware and lumber solutions, which is why we strive to be competitively priced, knowledgeable, friendly, and stock unique items for you, we well as offer special ordering. Moving? We have U Haul rentals available at our store! Click here to book now!